Pastor Chris Gorman and his congregation at Central Valley Community Church in Hartford, South Dakota are facing some very serious temptations! 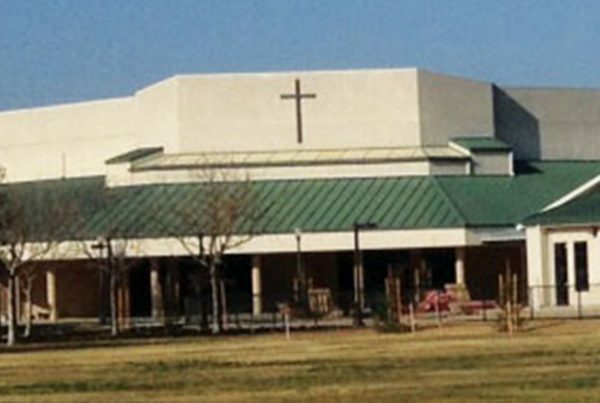 In mid-2007, after spending more than a few years holding services in a high-school auditorium, the church came to Church Investors Fund looking for a loan. 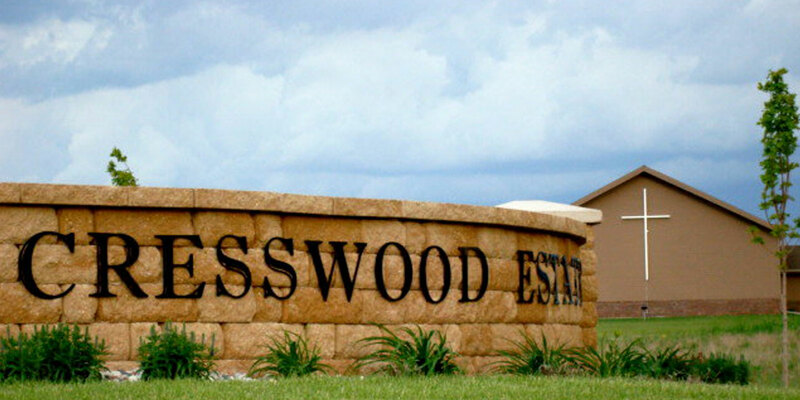 They were quickly out-growing the space available at the school and wanted to build a new 11,450 square foot church building on seven acres of land that had been generously donated to the church in a new housing development called Cresswood Estates. 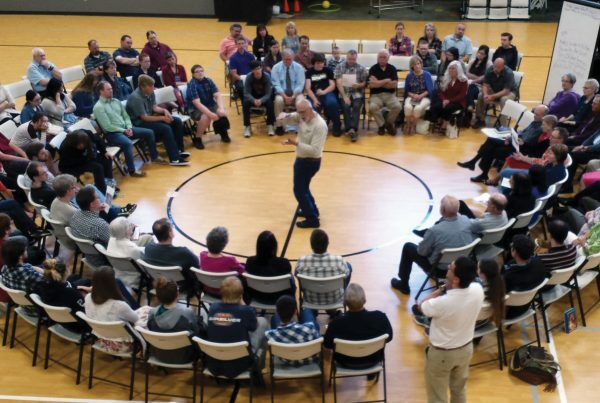 The church realized this significant gift allowed them to move forward with building their new facility, but that they also had a lot of work to do in teaching the congregation about giving. After postponing initial fundraising plans, and spending several months teaching about giving, they kicked their fundraising plans into high gear. God blessed their work and helped them raise $70,000 over their initial goal! On top of that, the church saw that weekly giving had significantly increased as well. Construction on the building finished up in late 2010 and the church has already seen God at work in amazing ways. Average Sunday attendance has increased from 180 to about 225, giving has increased, and the church is taking every advantage of new ministry opportunities in the local community. 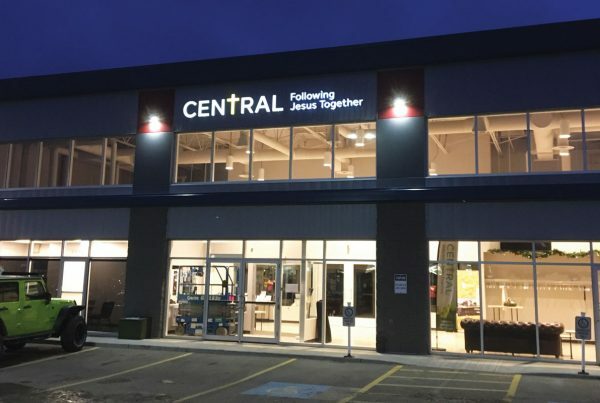 Now that Central Valley Community Church has its own facilities, they have made the decision not to charge people in the community to use their building. Many have been blessed by this generosity, including Girl Scouts, the local high-school’s Madrigal Dinners, a community freezer cooking group, and the local food pantry. Families in the community have also been using the facilities for various types of gatherings. On occasion, the church building also houses people who don’t have a place to stay for the night. Many are so thankful for the free use of the facility that they often give generous donations to the church’s ministries. Their vision is to continue to use their facility to serve the community and to use it to train and send people out for ministry. “However, the biggest change that has been made to the ministry of our church has been to free people up to minister to each other and to the community. Every ministry is connected to making disciples who go and make disciples. Activities like Wednesday night programs and ministry team meetings have given way to families spending more time teaching their kids the lesson sent home on Sunday morning that guides them in how to disciple their kids. Instead of elaborate ministry programs, we believe that ministry to the lost and hurting in our community happens in families, small groups and discipleship groups.” Isn’t it amazing? By focusing on God and His will for their community, and the need for more disciple-makers, Central Valley Community Church has found ways to be a blessing in their community!